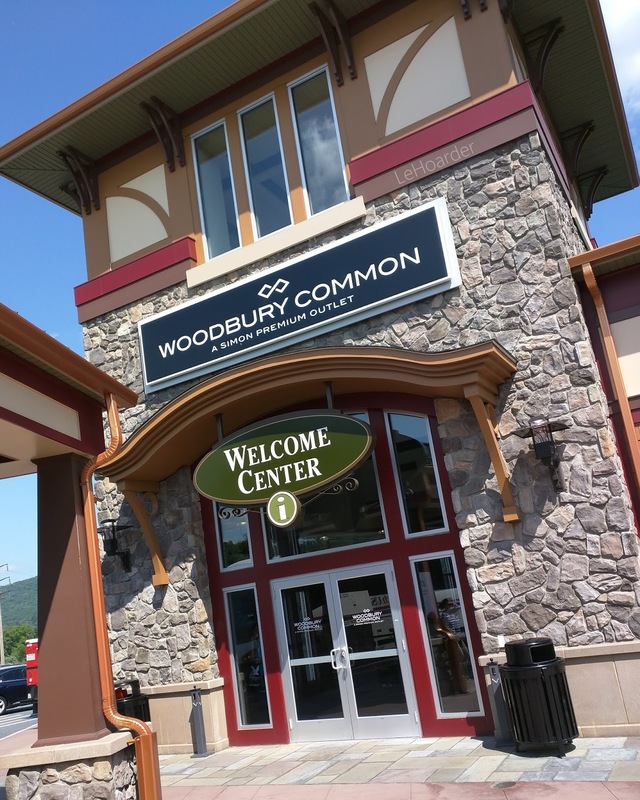 A couple weeks ago I visited Woodbury Common Premium Outlet Mall in upstate NY with my friend A to take a look around. Sadly it seems that these days Woodbury is for tourists who literally walk around with their rolling suitcases. 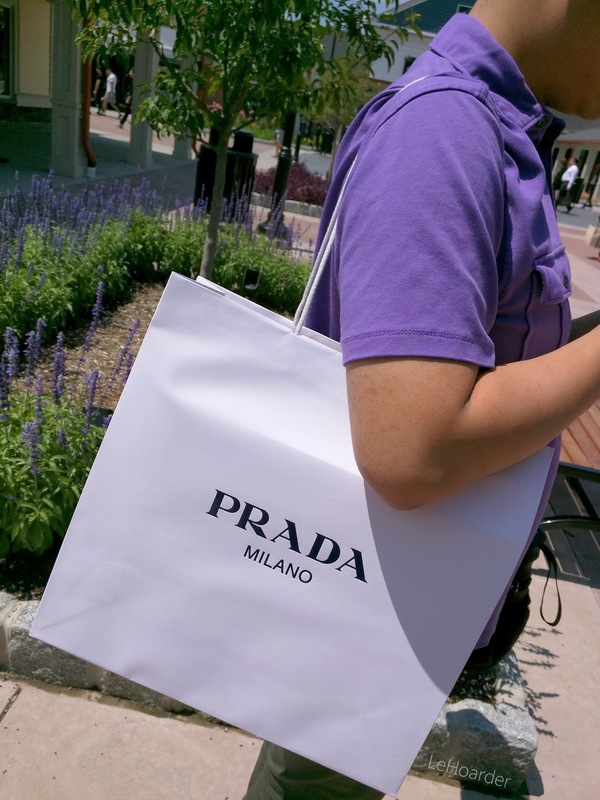 They fill them up with slightly discounted designer goods to take back home. A seasoned shopper such as myself can do much better elsewhere. That's not to say you can't find a deal or two but save clearance time (which is NOT now) it's just a whole lotta window shopping. 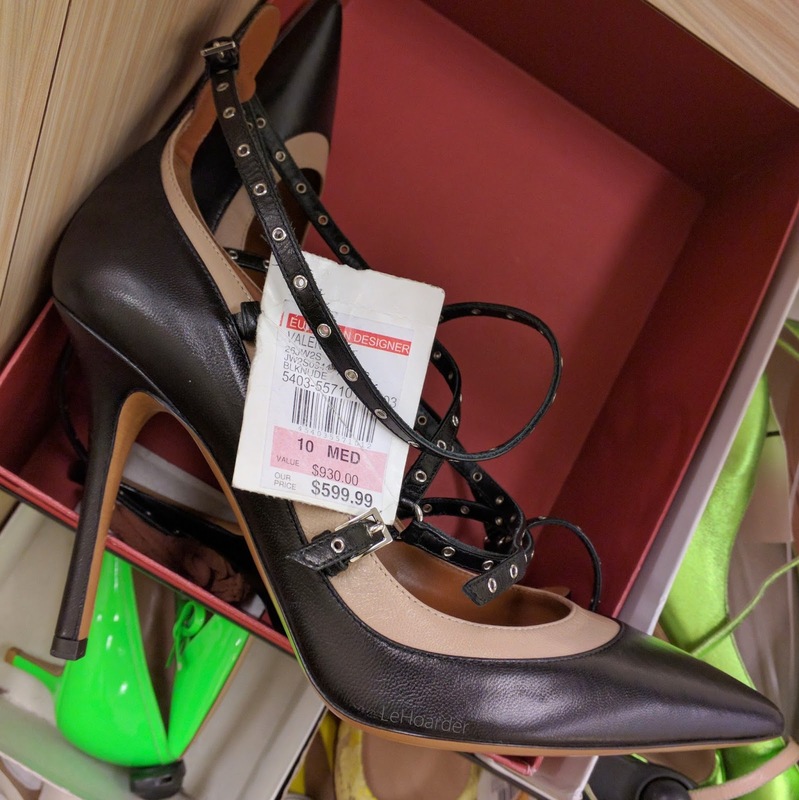 We did make a quick stop at Nordstrom Rack for Clear the Rack first where I found my Love Latch Valentino heels for just $225 after the 25% off discount. Pretty good for a $995 shoe. 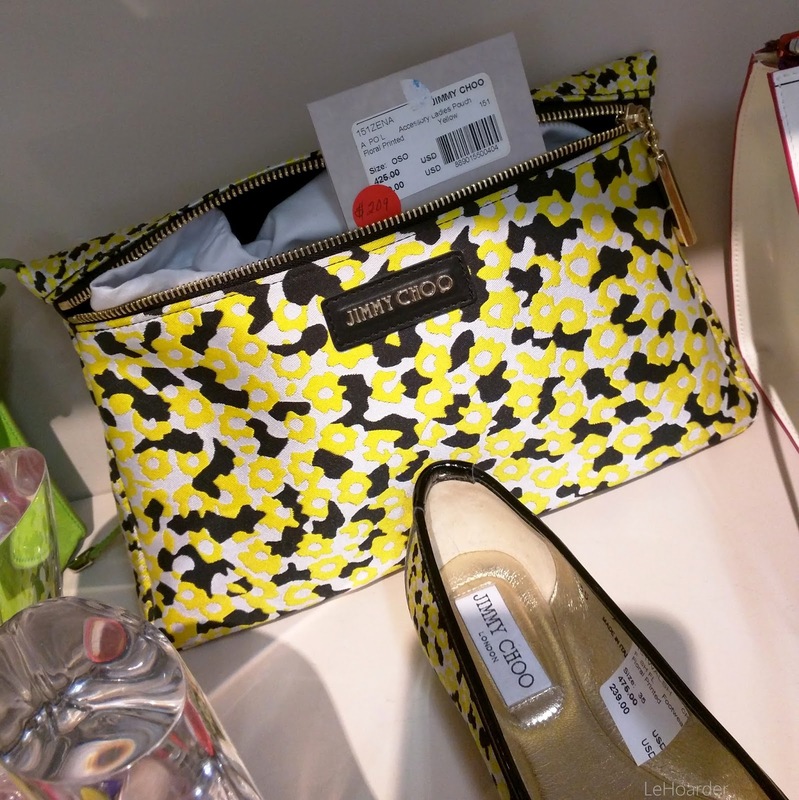 Sadly it was the only one and I just have not been seeing the designer goods I used to at the Rack. 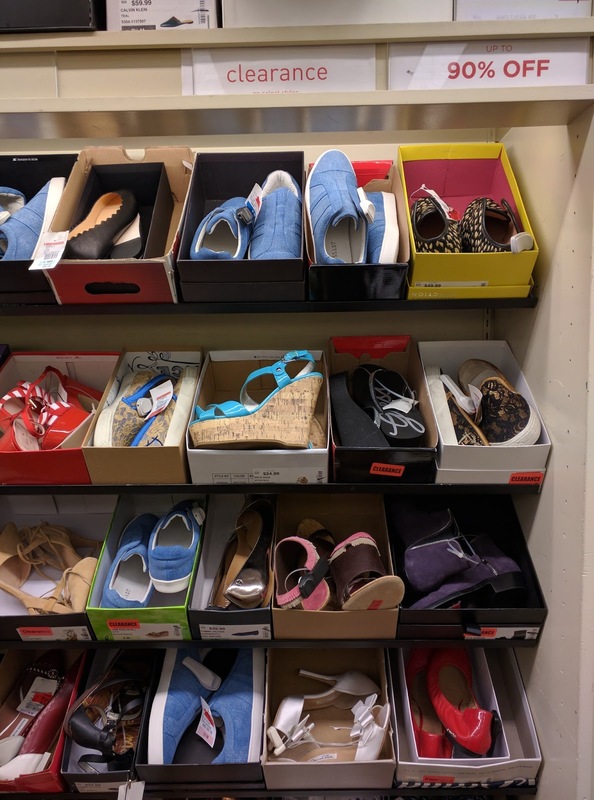 I'm not sure if the employees are snapping them up before they hit the floor, or they're just not sending as much designer to my stores as they used to. Every time I inquire I'm told it's because they have more store to distribute the goods. 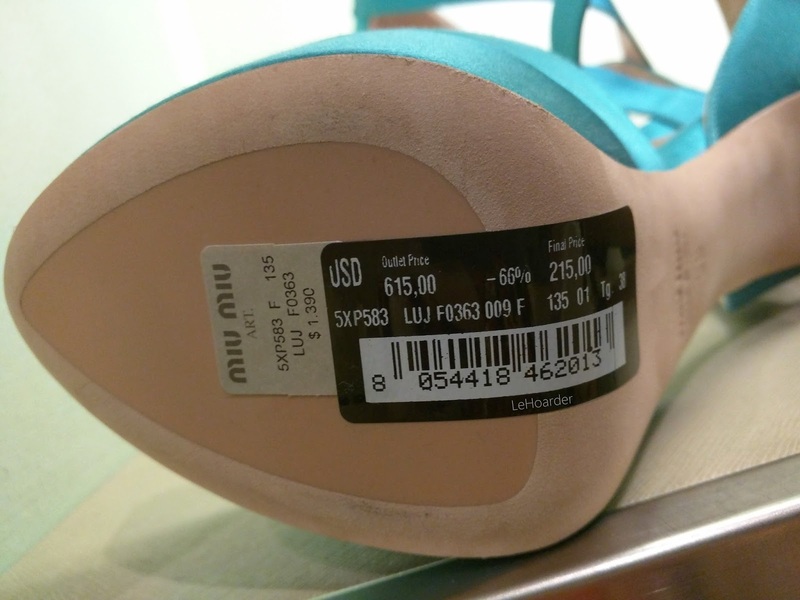 I call BS because I always see those resellers on Instagram with piles of Louboutins and Rockstuds. My friend A scored a pair of Prada booties for $105 from $890 - you can see them on his Insta here. He can often squeeze into a large women's size - which always seems to have better deals than men's. Luckily he's a size larger than me so there is no competition LOL. He just left NY for grad school so I'm gonna miss my penny hunting partner in crime. The first time we met he had hoarded all the $25 Sergio Rossi heels in my size for me so when I got there 20 minutes late, they were all waiting for me. Miss you already A! At the Cosmetics Outlet I found the Miley Cyrus Viva Glam 2 (I have 1 that 1 live in - it's my staple hot pink) for less than $13 after tax. I know I needed another MAC lippie like a hole in the head after my MAC sample sale haul where they were all $6, but I guess I wanted to come home with something. Plus it's a fun tomato orange red and you know I love me a bright lippie. On to YSL to drool over some pretty bags. That pink Sac De Jour has my time written all over it. The purple wasn't bad either. I may have looked at one tag in the whole store and then stopped looking. I do have to say the the salesperson was so friendly and offered us water which we probably should have accepted because it was so darn hot out. 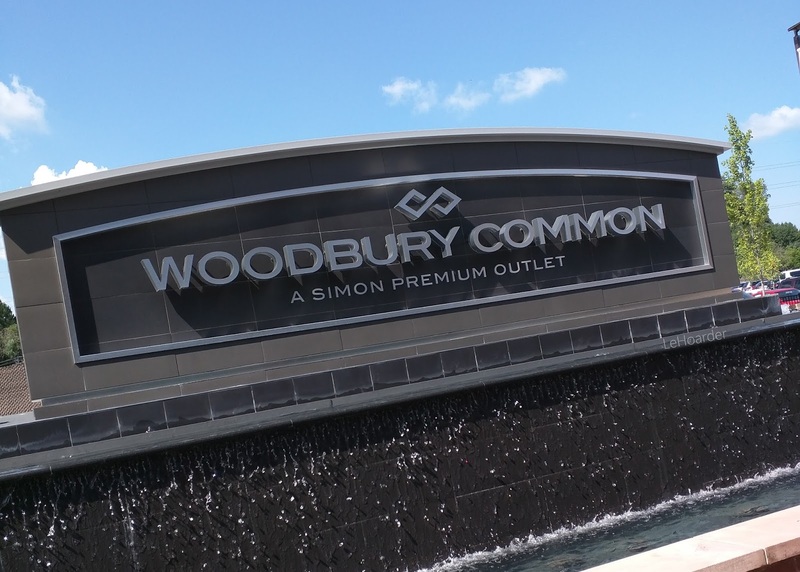 That's another issue with Woodbury, it's a huge outdoor space that you wander around so it's not best for extreme weather. 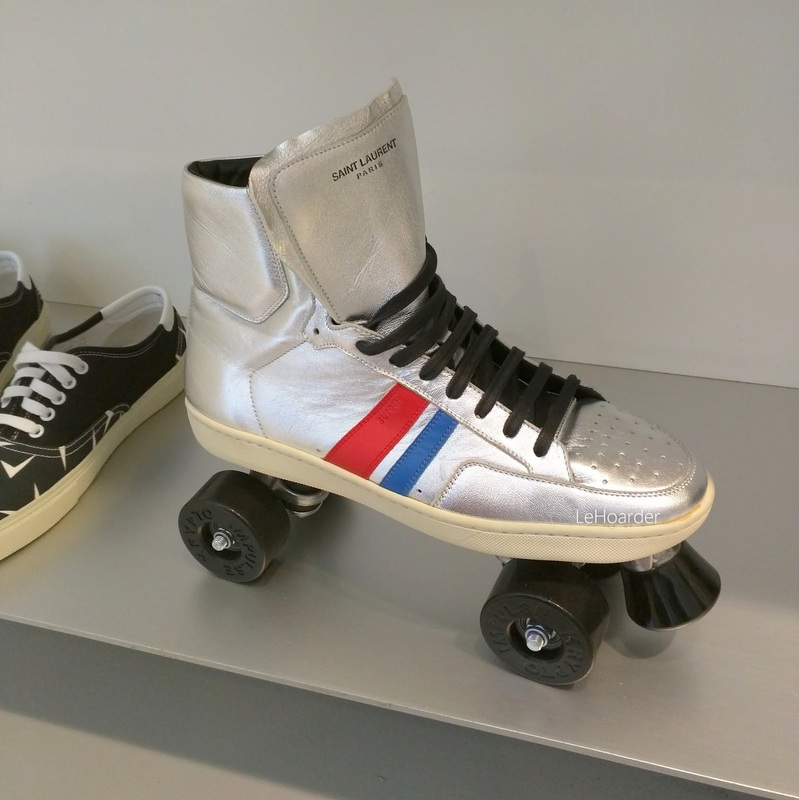 How fun are these roller skates? I'm totally obsessed. I found a similar one here online. 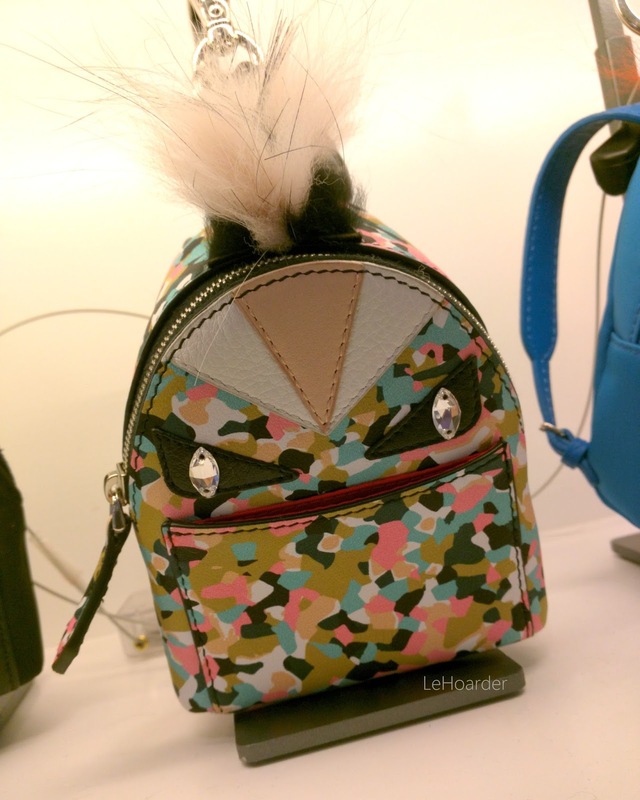 Cute stuff at Fendi too! How adorable are these mini monster backpack keychains? We popped into Rag and Bone to look at jeans and I saw a few cute things in the sale area where they had an extra 30% off. 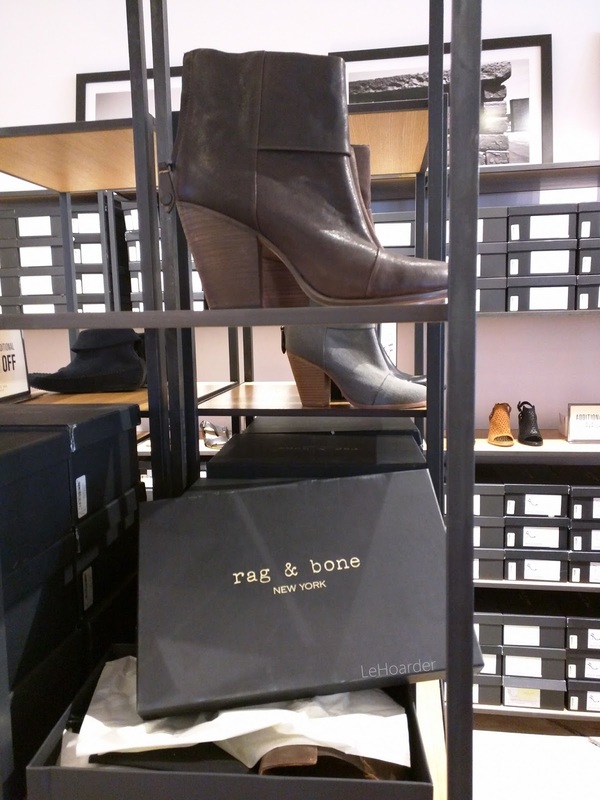 They brown Newbury booties were marked $99 (from $495) and had the extra 30% off too! They were my size and I was tempted but those heels heels hurt my knees - something about the angle. I just don't go well with Rag and Bone boots for some reason. 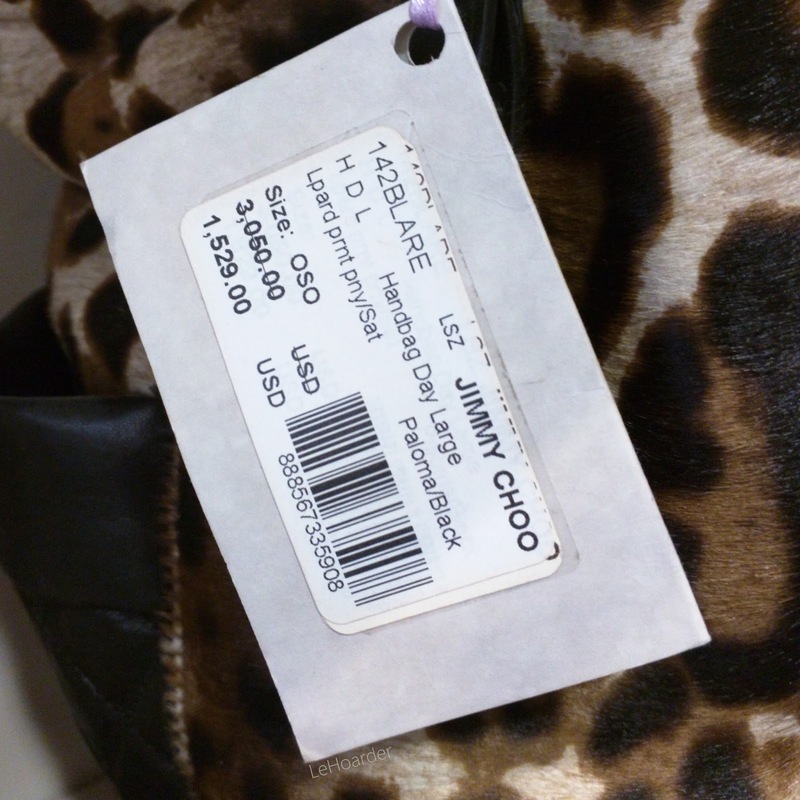 You know I had to check out Jimmy Choo to see how much they charge for pieces I scored for next to nothing at the sample sale. 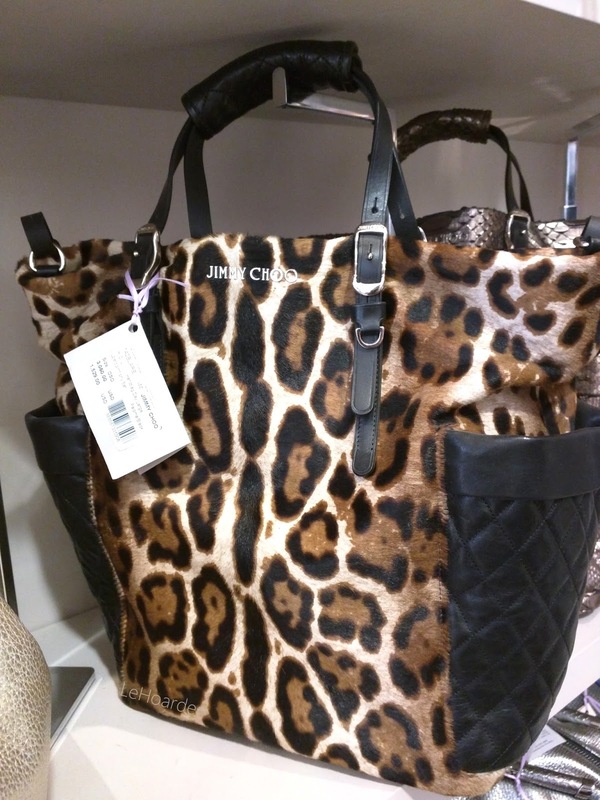 Here's my Blare tote (missing the chain thou) for $1,529 from $3,050 - and mine was just $250 LOL. 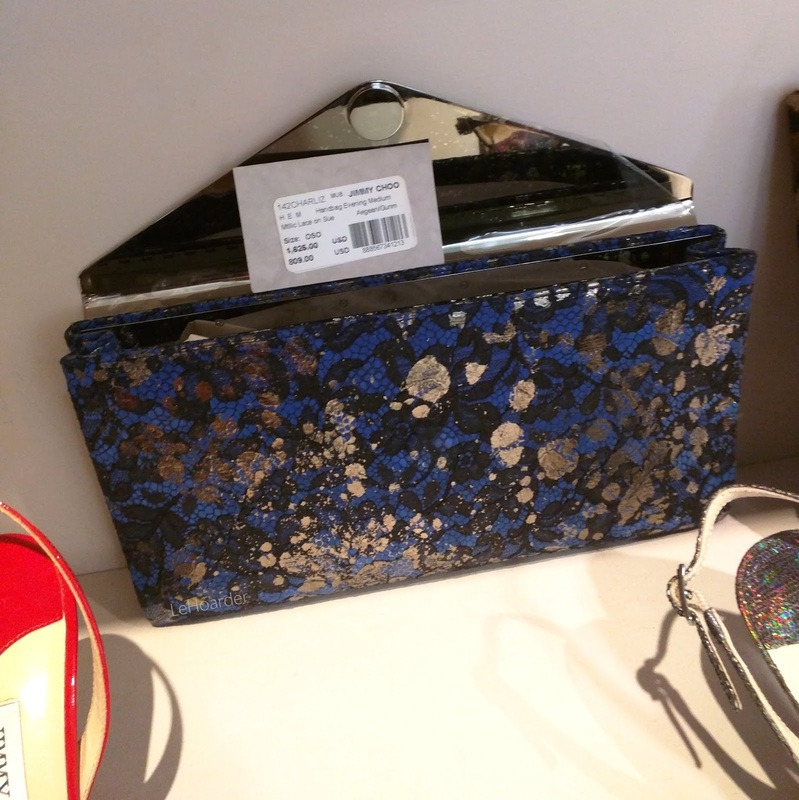 This is the most similar envelope clutch to mine - but mine has the python (which is always more) and the studs. this one is $809 from $1,625. Mine definitely retailed for more and was just $100. 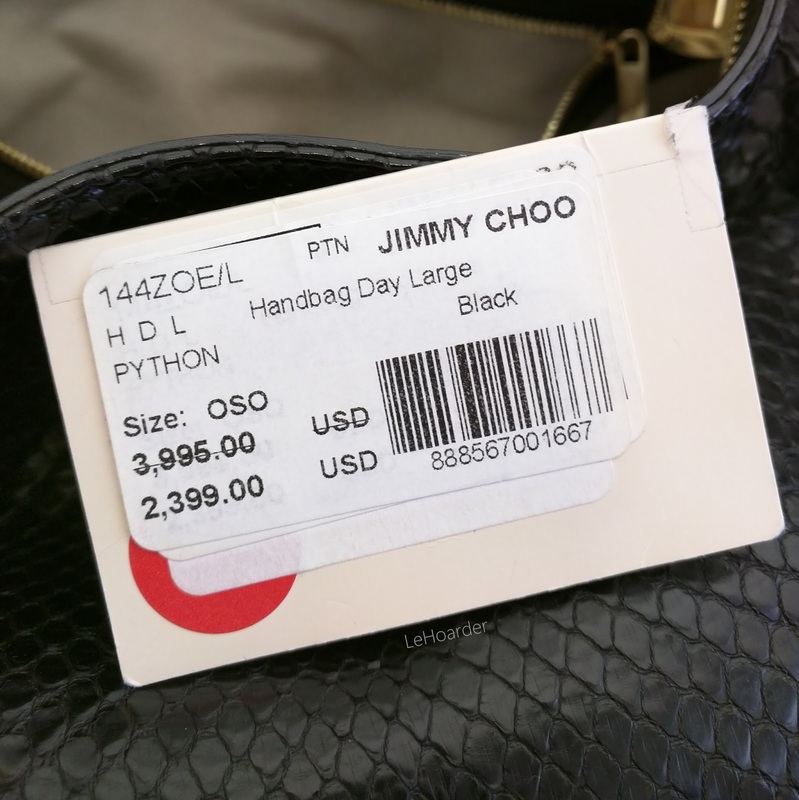 I laughed when I saw my $25 pouch for $209 (from $425). 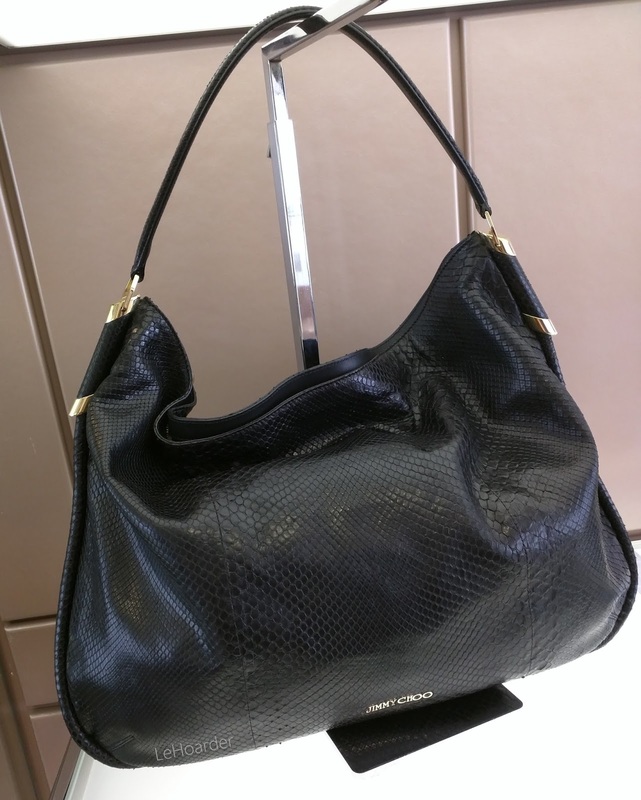 And my large Zoe hobo was just $50 - mind you I had to dye it black (see tutorial here) and is only Python trimmed, but it certainly wasn't $2,399 or $3,995! 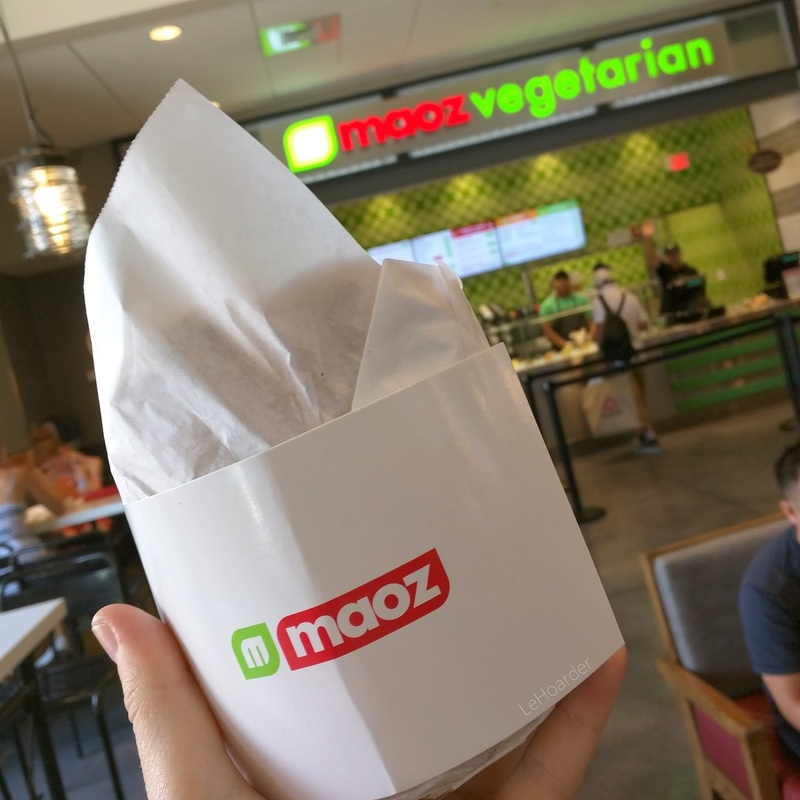 We stopped for a bite at the food court because I heard they opened a kosher Maoz Vegetarian restaurant. For years they had a Kosher cart that sold hot dogs during the summer, then a Kosher vending machine, and now I can actually sit down and have a healthy meal. I got a whole wheat falafel sandwich and my only complaint is that they only had American pickles instead of Israeli pickles which is just plain wrong IMO. We did see plenty of other goodies along the way but most pieces were 20-40% off retail which just won't do for me. I'm guessing the next time to check it out would be after the holidays for better markdowns but honestly that time of year they're are plenty of deals elsewhere. If you do go be sure to pop in to the Welcome Center to get your free coupon booklet with your AAA card or just sign up for their VIP club here. I did go to the City on Sunday to hair model for L'oreal Professional and chopped off my hair again. I've talked about hair modeling a lot on the blog (search hair model in the search bar on the right) but what it basically means is that I get my hair done for free by super talented pros. You need to have some time on your hands and be open to change so it's not right for everyone. Color and cuts in the City can run you $250-500 each time so it's a significant savings for me. I let them convince me to try something a little new and I'm thinking it wasn't the time. The fact that I've been wearing it in a pony ever since which isn't usually good news. Don't get me wrong, I was so ready to chop but I think the shape isn't quite right. I'm gonna reach out to the stylist and hope we can fix it. As a model they request you wear all black so I'm wearing a $20 H&M basic dress (sold out), my $5 Rebecca Minkoff sample sale necklace, free Moschino sunnies from Century 21 (I had reward points), my new $6 MAC Be Silly lipstick from the sample sale and my new $18 Crocs Sexi Flips (not pictured). 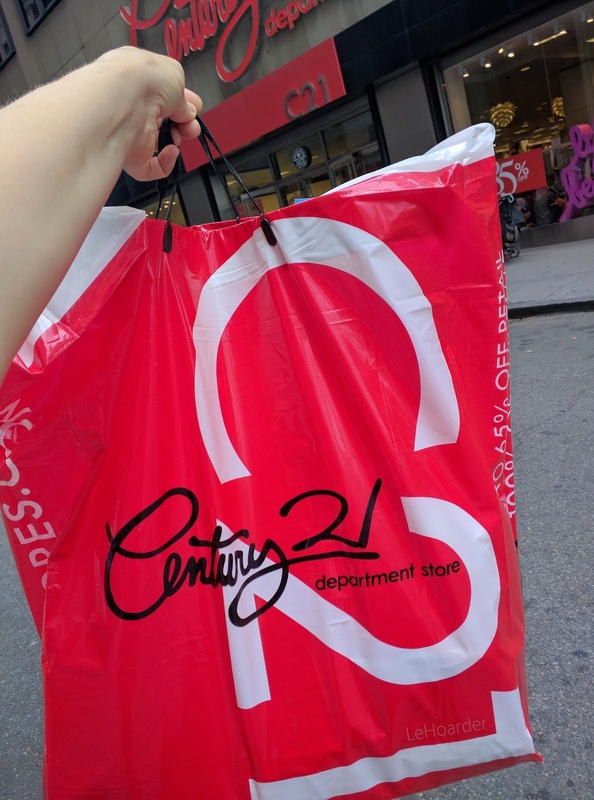 After my cut, I walked further downtown to Century 21 to check out what was left at 90% off, At Century I got some odds and ends (cheap socks, bras and headbands) but it's just not like the good ole days. It's okay, for every good deal that goes bad, another one eventually pops up. Don't worry, I'm on the hunt! You can read some of my past amazing Century reports and hauls here, here and here. Look how much they were trying to charge for the Valentinos I just got LOL. $600? No thank you! 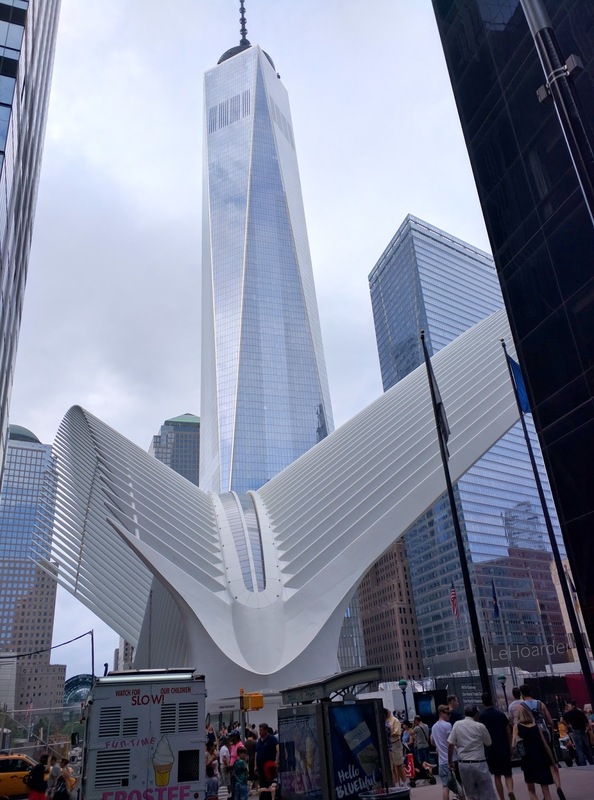 Next time you're downtown be sure to visit the new Westfield One World Trade Center (across the street from Century - under the Freedom Tower), which is the new gorgeous underground mall! Some of the stores opened but there are more to come. Pre 9-11 I spent a lot of time downtown shopping. 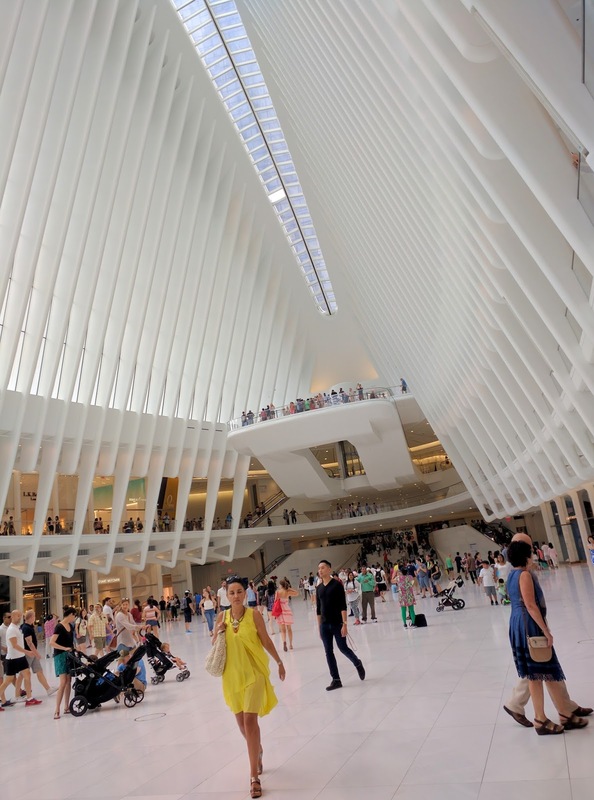 This mall is seriously a game changer - downtown is back, baby! How cute is the lady in yellow? 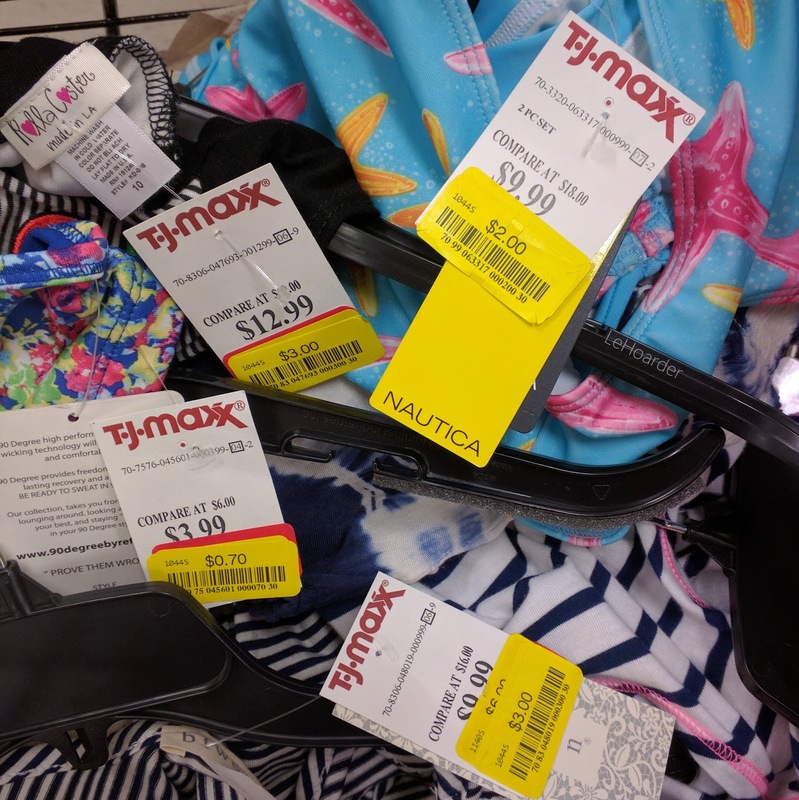 Yesterday I popped into T.J Maxx and found some amazing yellow sticker clearance! I would recommend checking your local stores as it looks like they did a second round of markdowns. 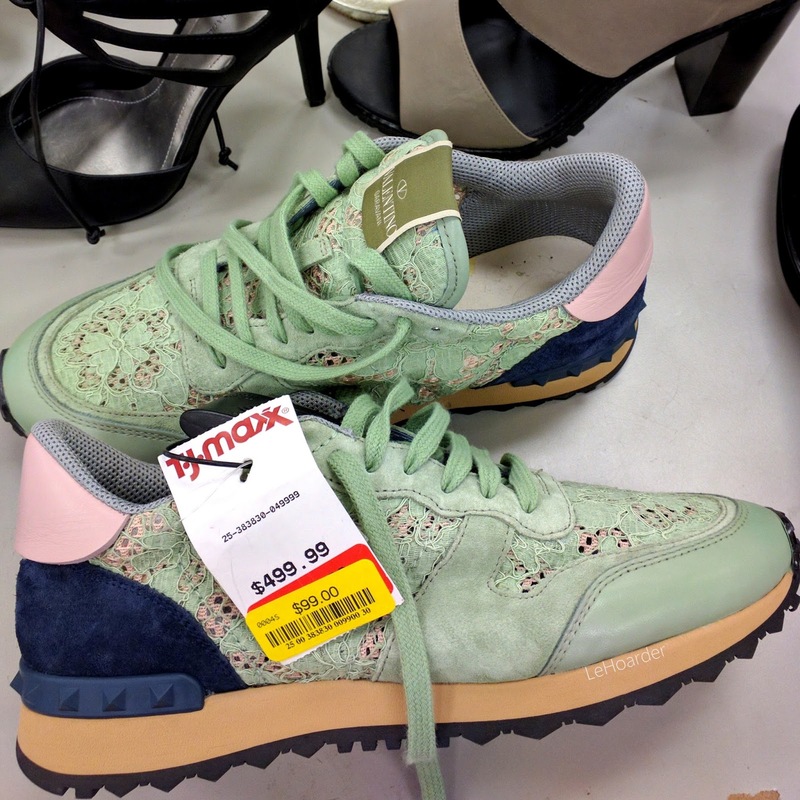 I picked up a bunch of $2-3 pieces for my girls and scored a pair of Valentino Rockrunner sneakers for myself for just $99! It's missing one insole so I'll either get generic ones or call the company for a replacement. I posted on Instagram last night and as of this morning it's at almost 1,400 likes which is a record for me! Just wanted to share that I'm a little behind because I'm so slammed with getting the kids ready for back to school, my brother's wedding (kids are invited again so now I'm scrambling to dress them) and some house emergencies (I have a giant hole in my kitchen ceiling but at least the bathroom above is now functional)...so yeah. It's a little crazy right now. And with Fashion Week around the bend I'm totally overwhelmed. I want the pink Saint Laurent! My friend got a black one I might borrow though. 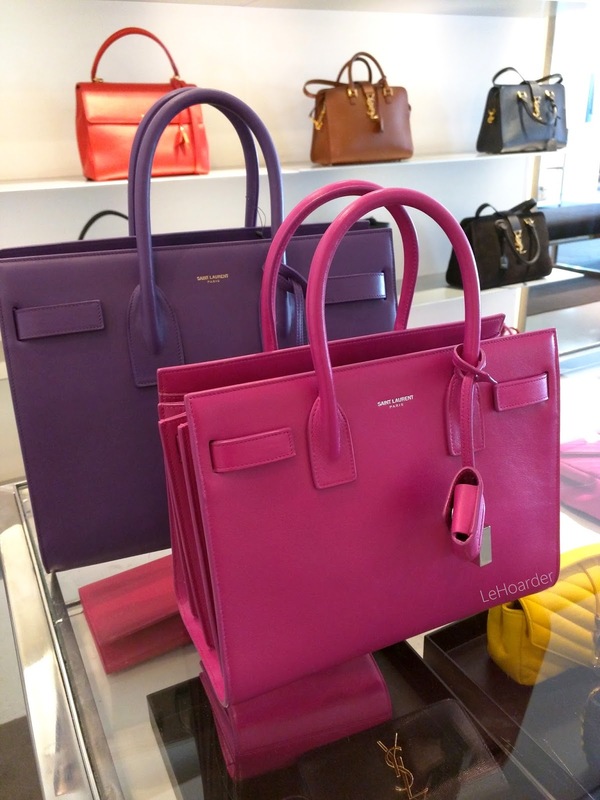 Oh wow that YSL pink bag is to die for, I love visiting handbags hehe. I'm hoping my TJM store has some yellow stickers, it feels like it's been forever at the same clearance prices for like $1 or $2 less lol :-p Good luck with everything! Thanks for all the great pics! I know! When I went last week for yellow tickets I walked right out. These are much better! Happy the kid get to go to the wedding again, I'm sure they are excited. WOAH, there were some serious buys there! Those valentino heels are gorgeous, and too bad about those rag & bone booties. I agree that outlets are iffy sometimes. We have one buy us and I think some stores are just regular stores, and yet other times I do so well. Off Fifth and NOrdstrom Rack are definitely like that. Thanks for recapping your trip! Thanks Alyson! I do a lot of outlet shopping and yeah, it's always hit or miss. Did you go in Burberry? I did but everything there was pretty expensive too :( I need my stuff on the cheap!